A great selection of Bell Helmets! 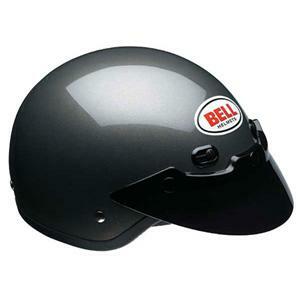 Here is a huge selection of the popular Bell helmet range. A great preview of the Bell range you'll find on the road today. 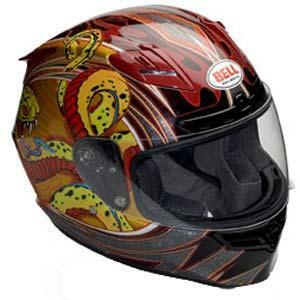 This selection of Bell helmets is a great place to start your search for a new helmet. 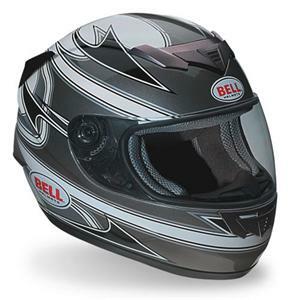 If you want to learn more about the Bell Helmets brand you can check out my article right here. Back in 1967 the Bell Star debuted as the world’s first full-face motorsports helmet and set the world on fire. First at the Indianapolis 500 but soon thereafter at motorcycle races, and finally on streets and roads all over the country. And while at first blush, the only similarity between the Bell Star of 1967 and the Bell Star of 2008 would seem to be the name, there’s really a lot more to it. Tooless, no hassle flip down shield. NutraFog® anti-fog, anti-scratch and UV protected shield. Adjustable flow-through ventilation system for cooling and comfort. Adjustable chinvent to aid in cooling and shield defogging. Removable and washable, anti-backterial/antimicrobial interior comfort liner. If you think less is more and less is better then the Shorty is your helmet. Gristle tough and stout like a spare rib, it's one tough customer, just like you.